When the Eastern District of New York indicted top officials at FIFA, the world’s soccer community was rattled. Indictment after indictment followed at all levels of organized soccer, including within CONMEBOL, the organization responsible for South American soccer. With rampant corruption throughout these organizations, those caught in its crosshairs found themselves swept into the government’s investigation. One official that was innocently implicated had to choose among 6 prominent federal attorneys to help him maintain his innocence. 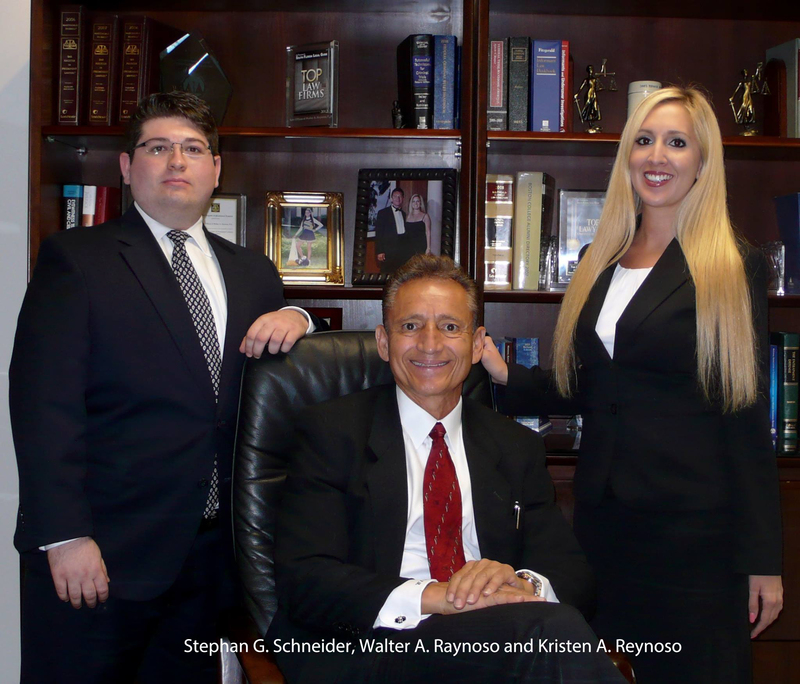 He chose Coral Gables criminal defense attorney Walter A. Reynoso and it was the right choice. After months of hard work, the official’s sterling reputation remains sound. Since launching his criminal defense practice in 1986, Reynoso has successfully represented many high-profile clients over the years, including corporations, professional athletes, politicians, doctors, attorneys and lead defendants in major felony, drug, and money laundering cases. A lifetime member of the National Association of Criminal Defense Lawyers and past president of the Colombian-American Bar Association, Reynoso focuses his practice on white-collar criminal defense and trials in federal and state court. His daughter, Kristen, handles felony and misdemeanor matters in state courts. The two attorneys collaborate frequently in all their cases. Born in Colombia, Reynoso came to South Florida in 1963 when he was four years old. “My mom and dad taught me the value of hard work,” he says. At Boston College School of Law, he was a staff writer for the Boston College Uniform Commercial Code Reporter Digest and he worked for the Department of Justice, Securities and Exchange Commission, Enforcement Division. Among Reynoso’s recent legal victories, he represented a corporation and its owner that had been implicated in a massive federal money laundering case in St. Louis. “That investigation concluded with no charges to either the company or the owner,” he said. “The company continues to flourish and employs well over 200 employees in South Florida, South America and China.” Another victory came in 2016 with the dismissal of all state charges for a medical doctor in South Florida that was accused of sexual assault and battery by several women. In 2007, federal prosecutors in St. Lucie County indicted property owner Maria Valdes for conspiring to run a marijuana “grow house.” The alleged conspiracy involved multiple grow houses and a murder. Digging into the case, Reynoso was able to show that Valdes, a grandmother who was renting out the home, was unaware of the illegal operation. After many months of hard work, a U.S. District Court judge dismissed the indictment. All other defendants were convicted, with one receiving a 30-year prison sentence.